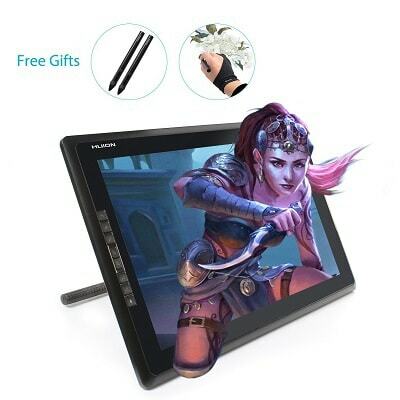 If you’re looking for the best drawing tablet you’ve come to the right place! Below we’ll be reviewing the top five drawing tablets on the market. A drawing tablet, or commonly known as a drawing or art tablet, is a graphics tablet that is specially designed for people to draw and illustrate on them. The tablet usually comes with a stylus which resembles the traditional pen and paper. Although it may seem like a better alternative for graphic designers, artists, and any other profession that may require writing tools it does have its pros and cons in numerous categories. Some advantages of the best tablet for drawing include the ability to upload files and pictures to work on them, never running out of ink where you can use your stylus, and a better sense of portability than a large pad of paper. However, some disadvantages include how expensive drawing tablets come, you might not be able to draw as detailed pictures on a tablet versus a pad of paper, and the stylus doesn’t always perform as well as many other drawing tools. 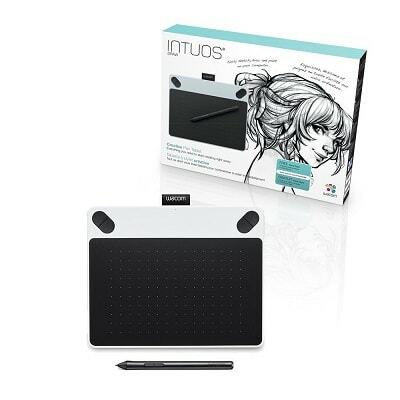 The Wacom Intuos is perfect for beginning artists as well as for people who are new to digital online tools. It comes with simple functions to draw, edit, and paint different files. With a free included Draw Pack, it is a very beginner Photoshop tool to help ease into using digital tools. You can also customize 4 different buttons on the tablet for a more personalized touch. Feel free to connect it to a Mac or PC as well for seamless connectivity. With its small compact 8.25 by 6.7 inch screen, it holds great portability especially for students on the go. 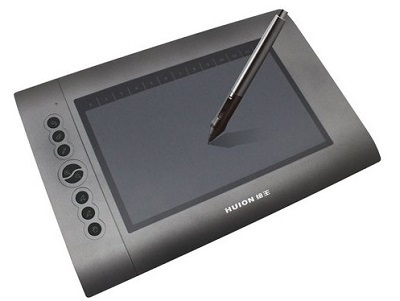 The Huion H610 Pro Graphic Tablet is perhaps one of the top drawing tablets on the market today. This enlarged drawing tablet offers more room than average tablets under an attractive price for a budgeted spender. Its screen size offers a 10 by 6.25 inch drawing space with 8 different buttons and 16 hotkeys to customize yourself. This tablet is perfect for a person who is more comfortable with digital art tools. It is compatible to connect with a Mac or a PC and works easily with drawing programs such as Photoshop, Corel Painter, Manga Studio, and much more. If this drawing tablet ever breaks down or if you have an accidental coffee spill, you are covered by the company’s 1 year warranty. The Huion writing tablet offers a large writing screen as well as outstanding resolution. With over 8 customizable hotkeys, it can cut out a decent amount of needlessly switching screens. 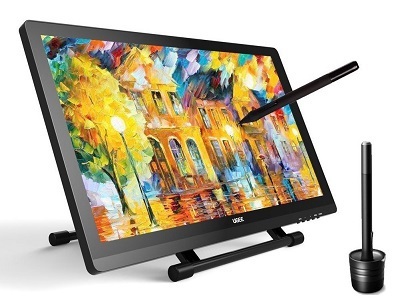 With a helpful built in stand, it can fit any desk perfectly and helps you draw with ease. Its advanced stylus also allows you to draw much more smooth and gives an even more realistic pencil feel. Along with the stylus, the tablet comes with a cleaning cloth and a screen protector. 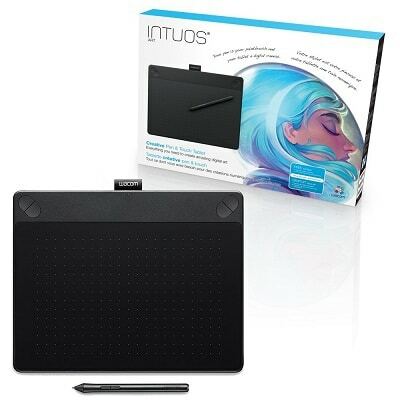 The Wacom Intuos Art Pen and Touch Tablet is an excellent choice for the best graphics tablet. It provides everything an artist could need. This helpful tablet comes in two different sizes, small and medium, and three different styles, art, comic, and photo. There is a perfect version of this tablet to meet everybody’s needs. This device essentially replaces your mouse and transforms your computer or laptop into a digital canvas. It is compatible with Mac and PCs and can operate with all software programs. The controls are highly intuitive. You can use the pressure sensitive pen to draw on the tablet and control the thickness of your strokes. You can also use your fingers to control it, just as you would on your smartphone or laptop trackpad. The Wacom Intuos also allows you to set four Express Keys. This allows you to easily reach your favorite computer shortcuts. The Ugee UG2150 is an incredible piece of machinery that any artist would be lucky to have. This is not a stand alone monitor; it must be hooked up to a hard drive or laptop in order to function. This monitor features a 21.5 inch LED screen with 1920 x 1080 resolution. The monitor also features an adjustable stand that hooks onto the back of the monitor. This allows users to draw at the angle that is most comfortable for them. The stand also provides an incredible amount of sturdiness. The UG2150 comes with an anti-fouling artist drawing glove which greatly reduces friction between the screen and your hand. This monitor also comes with two 2048 level rechargeable pens and a pen stand. These pens make drawing on your computer as simple and comfortable as drawing with a pencil and paper. It is compatible with most operating systems and most artist software. Graphics tablets are extremely helpful tools to artists in this modern age. They offer easier access to more advanced writing tools and programs, as well as offering easier ways to share with others. Our personal favorite graphics tablet and the one we recommend is the Huion GT-185 drawing tablet. It offers a much better space to draw with many built in tools and features such as the customizable hotkeys. Not to mention, the stylus feature offers you a way to draw online just like drawing on a normal pad and paper. Especially for college students, carrying such a powerful tool in your bag can make the difference in your work and education.